Will Make A Handy Addition To Any Home. For You To Work With. 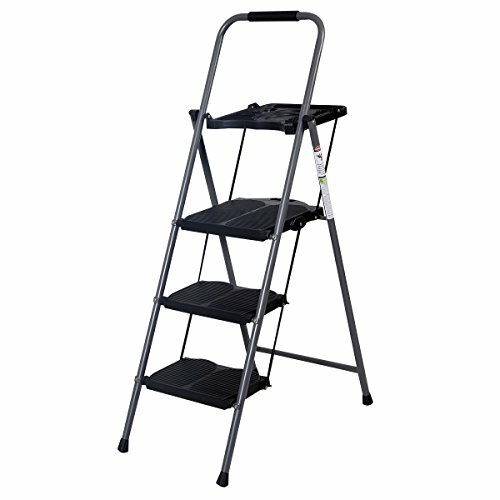 Size Of Tray: 13.8" X 11.5"
The Height From Ground To Top Step: 27.2"
Package Include: 1 X Foldable Ladder. Anti-Skid Rubber Feet Large Load Capacity Of 330 LBS Notice: DO NOT STEP ON THE TRAY!